Just over a week to go now for this great competition for a great cause. So get finalising those poems, flash fictions and short stories. Closing date is next Friday 20th July at 17.00hrs. Writing Competition in aid of the Michael Mullan Cancer Fund. Michael Mullan (26) is battling cancer for third time and needs funds to continue availing of life saving treatment in Boston that is not available in Ireland. Email your short story, flash fiction or poetry entry to: mmcancerfundwritingcompetition@gmail.com. Pay: PayPal.Me/mmcancerfund or by clicking here. Donations in excess of the stipulated entry fee would be most welcome for this deserving cause. Competition is open in Ireland and internationally. Longlist of top 20 authors will be published on www.michaelmullancancerfund.com in mid-August 2018. Shortlist of top 6 authors will be published in early September. 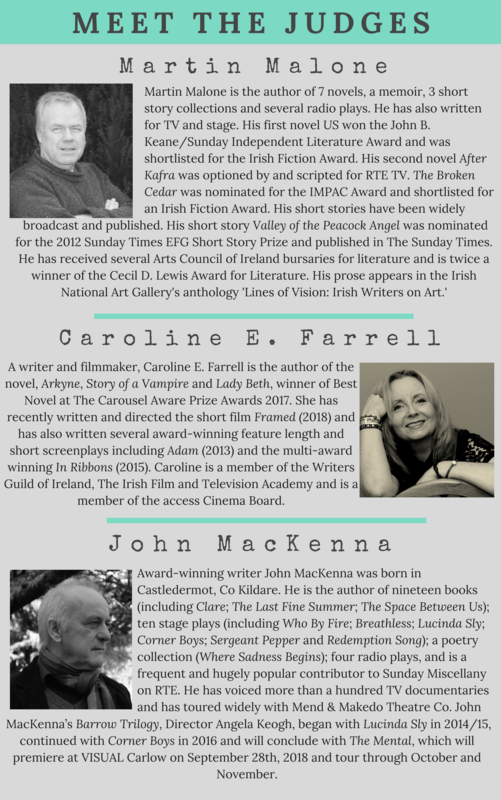 Winners will be announced and prizes will be awarded at Kildare Readers Festival on 3rd October 2018.